Toby Alderweireld (hamstring) and Victor Wanyama (knee) both remain sidelined. Manager Mauricio Pochettino must decide whether to shuffle his pack but Harry Kane seems certain to start as he chases the one goal he needs to set a new Premier League era scoring record for a single year. Southampton will be without Austin, who was also charged by the Football Association with violent conduct against Huddersfield, due to a hamstring injury. Ryan Bertrand (hamstring) and Cedric Soares (ankle) are both doubts for Mauricio Pellegrino's side. Junior Stanislas has joined Bournemouth's growing injury list after limping out of the 4-0 defeat to Manchester City with a sore hamstring. He will miss the St Stephen's Day fixture while Jermain Defoe (ankle), Harry Arter (calf), Charlie Daniels (groin), Joshua King (hamstring), Brad Smith (hip), Adam Federici and Tyrone Mings (both back) are all struggling. Manuel Lanzini is back in the West Ham squad after completing a two-match ban after he was retrospectively charged for diving. Skipper Mark Noble could miss out again with a tight hamstring and defender Jose Fonte remains sidelined due to an ankle injury. Chelsea top scorer Alvaro Morata is available after serving a one-game ban against Everton and is expected to slot straight back into the team. Cesc Fabregas and Davide Zappacosta could feature if Antonio Conte opts to make changes but David Luiz (knee) and Charly Musonda (groin) are still absent. 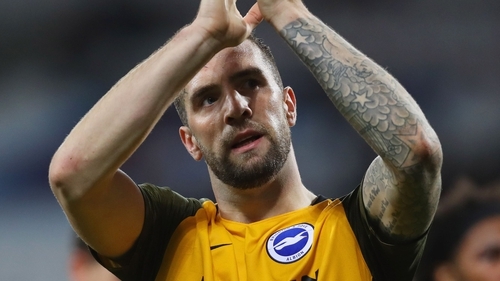 Ireland defender Shane Duffy is back from suspension and he could return in place of Connor Goldson, who deputised during Saturday's victory over Watford. On-loan forward Izzy Brown cannot feature against his parent club, while midfielder Steve Sidwell (back) remains out. Goalkeeper Jonas Lossl is expected to be fit despite suffering a suspected broken nose against Southampton after being kicked in the face by Charlie Austin. David Wagner could rotate his side during a hectic schedule but Laurent Depoitre will be gunning for another start having fired three goals in as many games. Erik Pieters remains a major doubt with the injury that forced him off against West Ham and subsequently saw him miss Saturday's home win over West Brom. Glen Johnson (knee) has been training and could be involved but Bruno Martins Indi (groin) is still recovering while Jese Rodriguez is working on getting back up to speed having returned after spending time in Gran Canaria with his ill son. Michael Carrick and Maroaune Fellaini have been ruled out of the festive period, while Antonio Valencia has been struggling with a hamstring injury. Eric Bailly is sidelined after ankle surgery and Matteo Darmian missed the draw at Leicester with an unspecified injury. Chris Smalling received a knock late on at the King Power Stadium. Burnley could be without top scorer Chris Wood after he limped off in the first half against Tottenham, with Ashley Barnes on standby should he not make it. Defender James Tarkowski serves the second of a three-match ban while Charlie Taylor will continue at left-back if Stephen Ward (knee) remains sidelined. Marvin Zeegelaar and Abdoulaye Doucoure are available again after bans but captain Troy Deeney is suspended. Kiko Femenia, Will Hughes (both hamstring), Younes Kaboul, Craig Cathcart, Nathaniel Chalobah, Isaac Success (all knee) and Miguel Britos (knock) are also unavailable to Hornets manager Marco Silva. Daniel Amartey is banned following his dismissal against Manchester United. Danny Simpson (hamstring) is a doubt, leaving Claude Puel with a headache at right-back, while Matty James (Achilles) and Robert Huth (ankle) remain sidelined. Nacer Chadli is absent after sustaining another thigh injury at Stoke. Albion's club-record signing was introduced as a half-time substitute but only lasted 15 minutes before limping off again. Winger Matt Phillips (hamstring) has resumed training and could be included in the squad but James Morrison (Achilles) is still out. Idrissa Gana Gueye is set to be missing with the hamstring problem he sustained in the goalless draw with Chelsea. Top scorer Wayne Rooney sat out that match through illness but could be ready to return while centre-backs Ashley Williams and Mason Holgate were only fit to be substitutes after flu and could remain on the bench. Jordan Henderson sits out the match after injuring his right hamstring in the 3-3 draw with Arsenal. Manager Jurgen Klopp said other players picked up knocks against the Gunners, but none of them are expected to miss out against Swansea. Kyle Naughton has joined the club's casualty list after suffering a groin injury and Angel Rangel is set to deputise at Anfield. The Swans are already without Wilfried Bony (hamstring), Ki Sung-yueng (calf) and Kyle Bartley (knee ligaments), while Leroy Fer (back) will be assessed on Christmas Day. Jonjo Shelvey is available after suspension while fellow midfielders Mikel Merino and Isaac Hayden, who sat out at the 3-2 win over West Ham with knocks, will be assessed. Full-back Jesus Gamez (ankle surgery) and striker Aleksandar Mitrovic (back) are still out. City defender John Stones is back in training after a hamstring injury but the game is likely to come too soon for him to make his comeback. Left-back Benjamin Mendy (knee) and midfielder Phil Foden (ankle) are long-term absentees. Christian Benteke is available again after serving a one-match ban and is expected to be restored to the starting line-up. Jason Puncheon remains available for selection despite being charged with possession of an offensive weapon and assault while Joel Ward is still struggling with a groin problem. Nacho Monreal is a doubt after suffering an ankle injury against Liverpool on Friday that saw him substituted at half-time. Arsene Wenger is still without striker Olivier Giroud and midfielder Aaron Ramsey (both hamstring) and playmaker Santi Cazorla (ankle).